Georgia law requires a hearing before an arrest warrant can be issued at the request of a private individual for the arrest of another private individual except in very limited exceptional circumstances. These hearings are referred to as Pre-warrant Hearings and the Magistrate Judge conducts these hearings in Taliaferro County. In other words, you can't just go to the courthouse and "swear out a warrant." Arrest warrants are not issued to “teach someone a lesson” or to “get him away from me.” Arrest warrants are issued because someone committed a criminal act that justifies arrest and incarceration. The issuance of a criminal warrant is a serious matter. The Court does not lightly consider the arrest and incarceration of an individual. The Constitutions of the United States and Georgia both require that the Court have probable cause, that is “a reasonable belief,” that the accused committed a crime against the laws of this State in order to issue an arrest warrant. To obtain an arrest warrant, an applicant must first obtain a police report. It is possible that upon the reporting of the matter to the police, the police may proceed with the investigation and arrest of the accused. If the police will not prosecute, then the applicant may apply to the agistrate Court for the issuance of an arrest warrant. An application fee is charged when the application is accepted. There is no fee for domestic violence cases. When an application is accepted, a hearing is scheduled and the accused is notified. 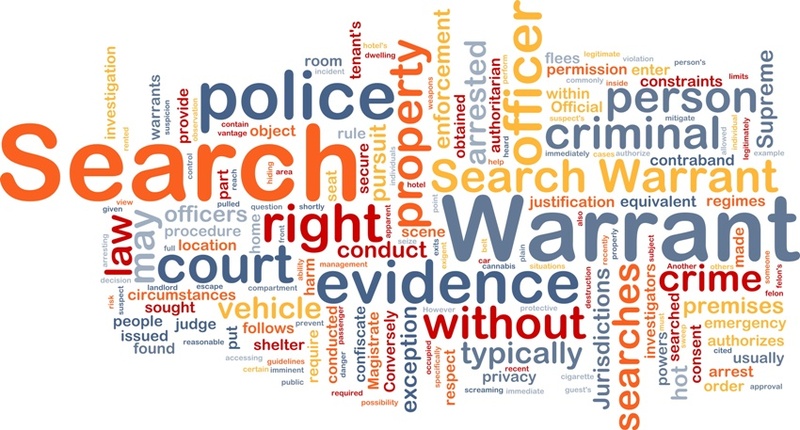 The applicant should be prepared to present testimony and other evidence to the Court sufficient for the Court to determine that probable cause exists to believe that a criminal violation has occurred. The accused need not appear at this hearing but is afforded the opportunity to appear and present his/her side of the story. Both the applicant and the accused are advised of the right to hire and have the advice of an attorney, of the right to remain silent, and that any statement made may be used against him/her. The applicant shall have the burden of proving probable cause and may appear pro se or may be represented by a district attorney, a solicitor, or a private attorney. The accused may be represented by an attorney or may appear pro se and may cross examine the person or persons applying for the warrant and any other witnesses testifying in support of the application. The accused may present evidence that probable cause does not exist for his/her arrest. If the Judge issues a warrant, the applicant will have to sign the warrant as the prosecutor. By signing the warrant the applicant is stating that the information given to obtain the warrant is true and correct. If that information turns out to be untrue or incorrect, the applicant may be charged with false swearing or perjury. As a part of the warrant, the Court may place the accused on special conditions of bond or pretrial release. Those conditions will be explained to the applicant at the time the warrant is issued. Later, should the applicant believe that the accused has violated a condition of bond, the applicant should contact the court for further instructions. Generally, a police report will be required in order to have the accused arrested on a violation of a conditional bond. After arrest an accused may request a preliminary or commitment hearing if he/she is unable to be released on bond. Such a hearing is at the request of the accused, not the prosecutor. At this hearing the State, represented by the District Attorney or Solicitor General, must again show the Court “probable cause” for the prosecution of the accused. The accused will have an opportunity to question the prosecutor and testify on his/her own behalf. Any witnesses or documentary evidence must be presented at the hearing to be considered by the Court as to whether probable cause exists. The Court will make a decision as to whether the case should go forward for further prosecution. After an accused is arrested, should the applicant-prosecutor fail to appear for a required hearing, or decline to prosecute the matter, or agree to dismissal of the charges, the applicant-prosecutor will be charged the court costs and sheriff’s costs associated with the case, unless there is an agreement otherwise which is approved by the Court. By signing an arrest warrant, the applicant submits to the authority of the Court for all purposes involving the warrant. If the applicant wishes to dismiss prosecution, court costs and sheriff’s costs are going to be assessed. Failure to pay these costs may result in a contempt citation from the Court, punishable by an additional fine of up to $200.00 and/or incarceration for up to 10 days. Finally, once the Court has determined that the matter should be sent to the State Court for trial of a misdemeanor or the Superior Court for trial of a felony, then further matters in the case will be handled by that court. The Solicitor General prosecutes cases in the State Court and the District Attorney prosecutes cases in the Superior Court.